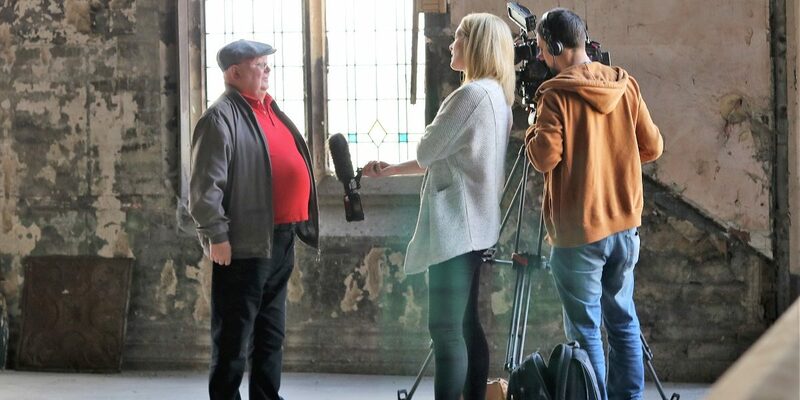 We’re delighted that The Exchange, Blackburn has been selected as a preview location for BBC Northwest Tonight’s coverage of Heritage Open Days. 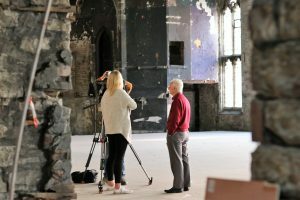 Presenter and Lancashire reporter, Beccy Barr interviewed trustees, Dr Alastair Murdoch and Jill Mitchell last week in advance of the free hard hat tours which will take place on Saturday 9 September. Ray Smith from Blackburn History Society took part in the piece along with Jean and Barry Greenwood from Blackburn and Rory Lushman who worked as a projectionist and later a manager in the cinema. Look out for us on the television week commencing Monday 4 September.